ML-Contact - Masterlink Computers Qld We are always available. 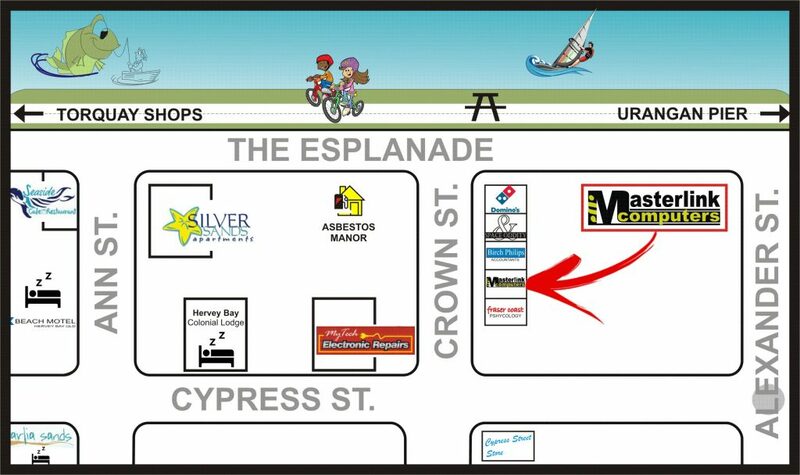 We’re easy to find next to Domino’s on the Esplanade at Torquay. Help is available on 0447805367. We recommend sending an sms, rather than calling. Or contact us through our voicemail system on 41255077. Please Note that by calling this number. You agree to pay minimum service charges. The email address “technical@masterlinkcomputers.com.au” is monitored after hours by all our technicians.